United States – Microsoft took a deep plunge into the online advertising business Friday, paying $6 billion (U.S.) in cash and a massive 85 per cent premium to snap up one of the last major players in the sector, aQuantive Inc. The deal came just one day after another online ad company, 24/7 Real Media Inc., was acquired for $649 million by advertising conglomerate WPP Group PLC and is the clearest proof yet of the urgency that technology and media companies feel about getting a piece of the online advertising boom. It is the largest acquisition in Microsoft's history. 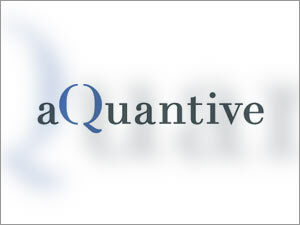 The all-cash, $66.50 per share price represents an 85 per cent premium to aQuantive's Thursday closing price of $35.87. Microsoft Corp., whose MSN site has struggled behind search leader Google Inc. and Yahoo Inc., is hoping the acquisition of aQuantive will jump-start its own efforts to sell and deliver advertising on the Internet, a business that is on pace to grow nearly 30 per cent this year, way ahead of other forms of advertising. MSN delivers advertising to its own viewers but is not yet in the business of channelling ads to other third-party Web sites, something that aQuantive is known for. aQuantive also has a significant interactive advertising agency called Avenue A / Razorfish, which buys, sells and creates online advertising – much like a traditional advertising agency, but online. The deal caps a furious four weeks of deal-making in online advertising, kicked off by Google's acquisition of a leading advertising company DoubleClick Inc. in mid-April for $3.1 billion. Microsoft was said to have been interested in DoubleClick but got trumped. Yahoo made a move last month, agreeing to buy the rest of privately-held online ad exchange Right Media Inc. that it didn't already own for $680 million. On the traditional media side, the Paris-based advertising conglomerate Publicis Groupe, purchased the online advertising company Digitas in January. Kevin Johnson, the head of Microsoft's platforms and services division, which includes the Windows operating system and online services such as MSN, said there was a "competitive process" to acquire aQuantive, but he declined to say who the other bidders were. "We're delighted to have won," he said. Online is by far the hottest area of growth in advertising. Piper Jaffray analyst Aaron Kessler estimates the market to be worth about $25 billion this year, representing growth of nearly 30 per cent over last year. Over the next five years, Kessler said he expects annual growth of about 17 per cent. Johnson said Microsoft was "committed to earning a bigger slice of that market opportunity" with its acquisition of aQuantive, but some analysts expressed surprise at the richness of the price. "After Google acquired DoubleClick, it was clear they needed to do something to get into the space, and there weren't that many assets left," Kessler said. ValueClick Inc. – which runs an online advertising network along the lines of 24/7 Real Media – is now one of the last publicly traded companies of scale in the sector. There remained some scepticism about the latest deal. Prudential Securities analysts John McPeake said in a note to investors that the deal "looks expensive" and that it wasn't clear why Microsoft would want to have a business that sent traffic to competing platforms such as Yahoo and Google. "It just doesn't feel like it is in their DNA," he said. Microsoft can easily afford the transaction, having reported $28 billion of cash on its balance sheet for the quarter ending in March. Shares aQuantive jumped $27.927 or 78 per cent to $63.77 in afternoon trading, while Microsoft shares fell 27 cents to $30.70. Both Microsoft and aQuantive are based in the Seattle area, something that McPeake said could help the two companies integrate their cultures. With about 2,600 employees, aQuantive will continue to operate as part of Microsoft's online services business. The company reported 2006 profit of $54 million on sales of $442.2 million.